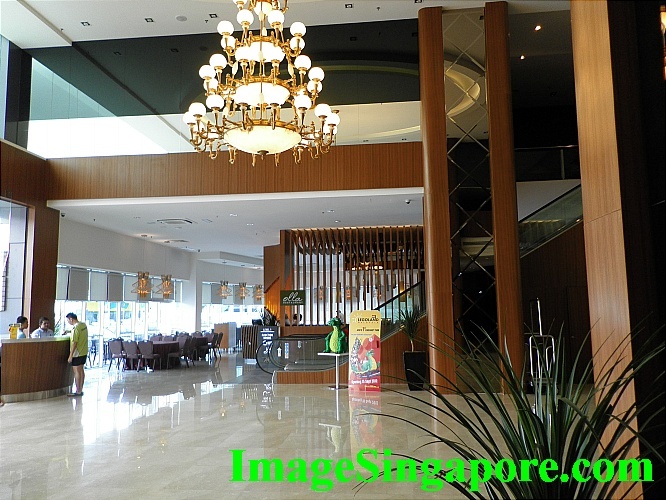 I decided to visit Aeon Shopping Mall in Bukit Indah; and the nearest hotel to this mall is Hotel Granada. 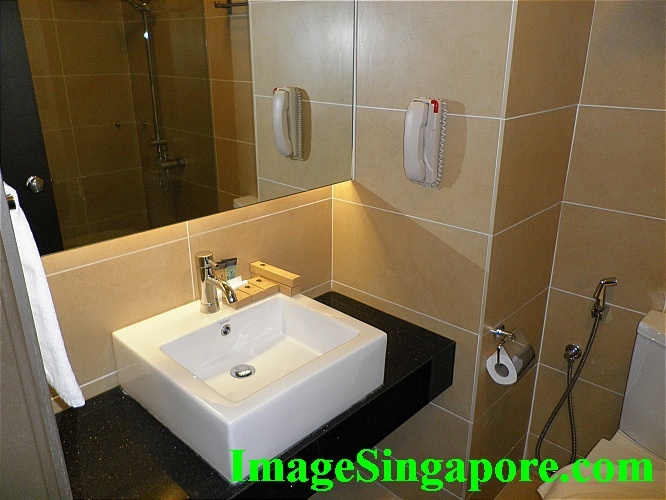 It is the newest hotel in Bukit Indah and I had booked the standard deluxe room with breakfast for about US$57 per night. 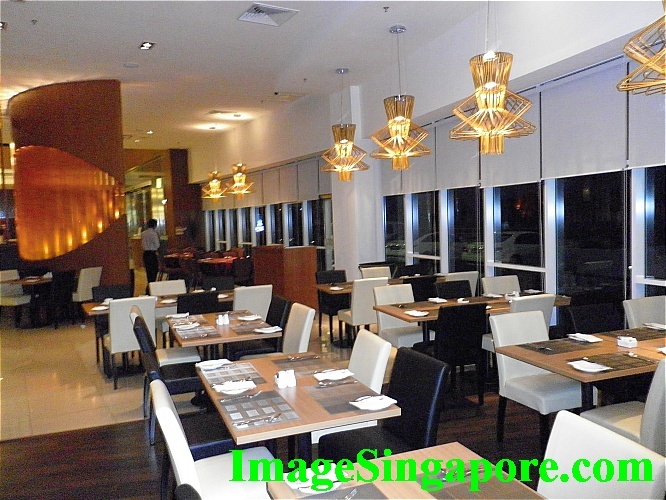 The advantage of staying in this hotel is the location – it is just opposite the Aeon Shopping Mall and there is a spacious 24 hours drive in MacDonald’s restaurant next door. Tesco is about 1 km away or 20 minutes walk by foot; and Giant supermarket is further up – another 10 minutes walk from TESCO. Checking in was smooth and quick. I presented the hotel voucher and got my card keys in minutes. 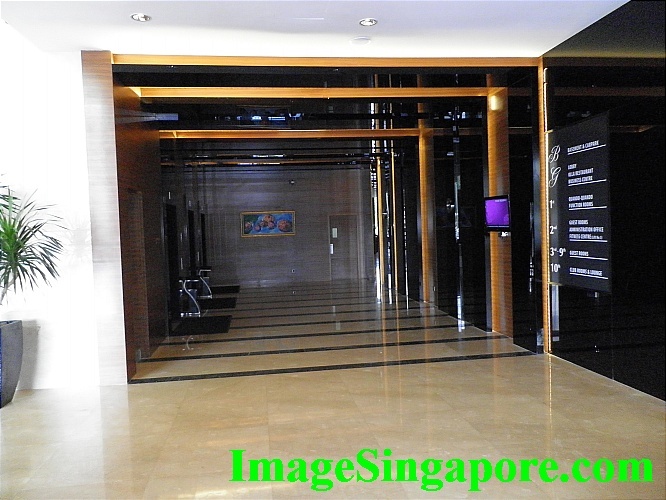 The room allocated to me was at the 5th floor – a standard deluxe room with a queen size bed. My first impression of the room was that it was rather small and compact in size. 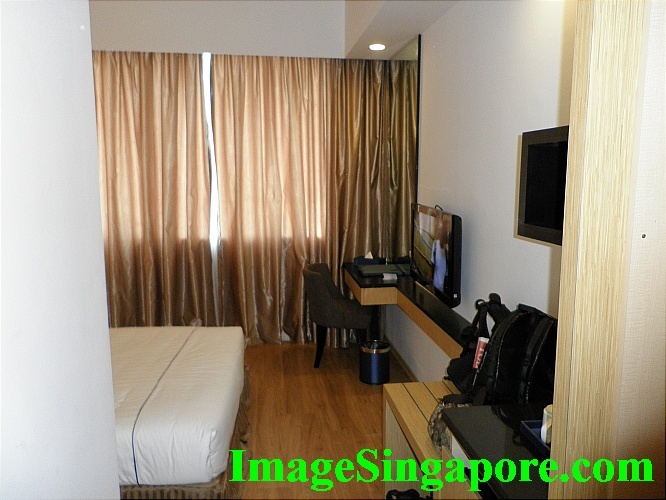 The size of the room was sufficient for 2 persons. However if you are traveling with kids and need additional bed, it would be better to book the Executive deluxe room. With the queen size bed taking up most of the room area, there was just sufficient space to move about in the room. The room facilities were surprisingly good – there was a SONY LCD TV, a small fridge, a small kettle, 2 bottles of mineral water provided, a small safe, some coffee and tea bags, sufficient space for clothes in wardrobe, a small chair and table, disposable slippers and even a Philip hairdryer. 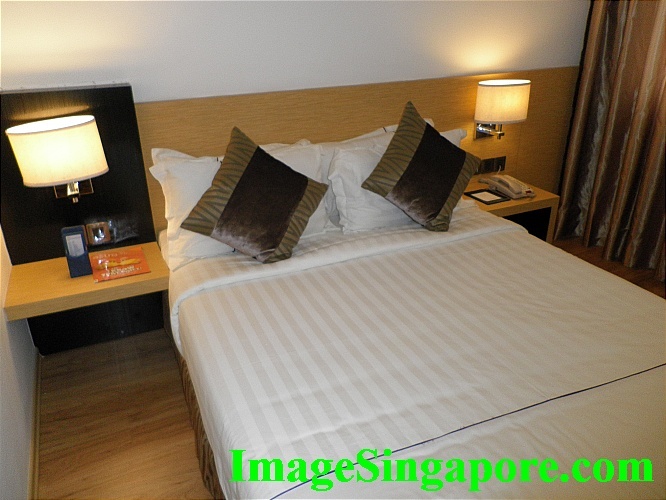 The bed was firm and comfortable and 6 pillows were provided – 2 firm, 2 soft and 2 small pillows. The flooring of the room was laminated wood and there were enough lightings in the room – I could the newspaper in the night comfortably. The air conditioned was quiet and cool and they are using Daikin and not those China brands of air condition. Deluxe Room of Hotel Granada. Rather small room but good for 2 persons. The bathroom was rather small and there was a small shower cubicle with rain shower and hand held shower. Standard toiletries liked small bottle of shampoo and shower gel, toothbrush and soap were provided. There was no disposable razor or comb given. The water pressure from the rain shower and hand held shower was sufficient but not strong. The metal floor trap that was on the floor was not able to discharge the water fast enough; thus it caused a mini flooding on the floor of the cubicle when I was taking a shower. The quick solution that I had done was to remove the metal floor trap and allowed the water on the floor to drain directly into the hole. Overall, the bathroom was clean and functional. The 2 bath towels provided were also clean and fresh. The room is clean, comfortable and with a queen size bed. My bedroom was facing the 24 hours Macdonald’s restaurant and AEON shopping Mall. There was a busy main road that separates the hotel and the shopping mall. However my room was quiet during night and so I was able to have a peaceful sleep. The TV channels were mainly local Malaysian TV programs or TV programs from Singapore. There was no international channels like BBC, CNN, National Geographic or Movie Channels. Breakfast was served at the restaurant next to the lobby. I saw that this restaurant served buffet lunch and dinner – I did not tried it as there were too many food outlets surrounding the hotel. Breakfast in the hotel was limited in choice but sufficient enough for a good breakfast. There were the usual fried noodles, fried rice, porridge, bread, eggs, bacon, hotdogs, fruits, coffee and tea and breakfast snacks. The bathroom is small and there are 2 shower heads in the shower’s cubicle. 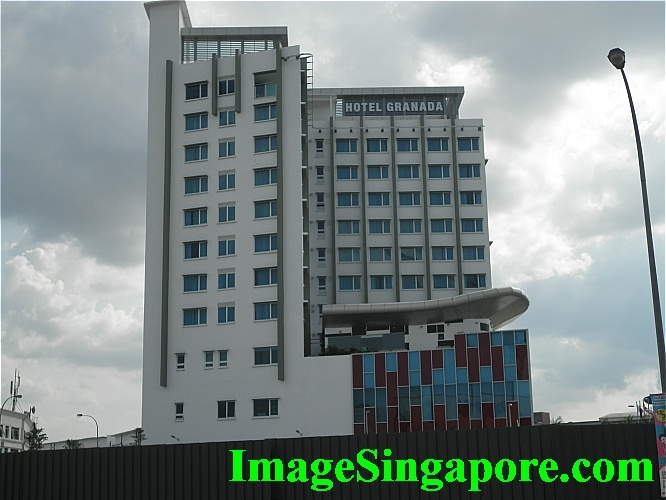 Overall Hotel Granada is value for money and it is a hotel that I would come back and stay again if I am in Bukit Indah. Hopefully the hotel can continue to maintain or improved on its standard and quality in the years ahead. The floor of the bedroom is laminated wood and near to the bathroom is ceramic tiles. 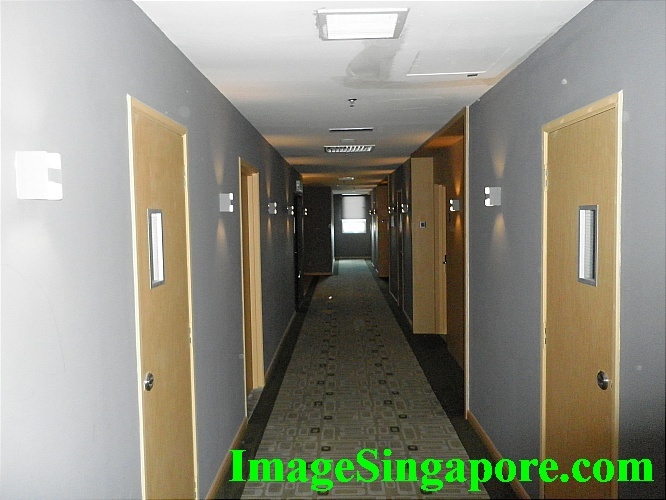 The corridor outside the individual rooms is bright and clean. The restaurant on the ground floor where breakfast is served. A view from the window of my bedroom. 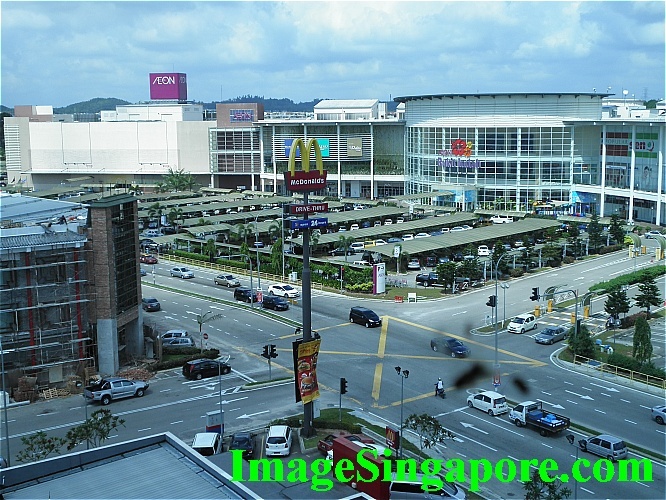 AEON shopping mall is just across the road. 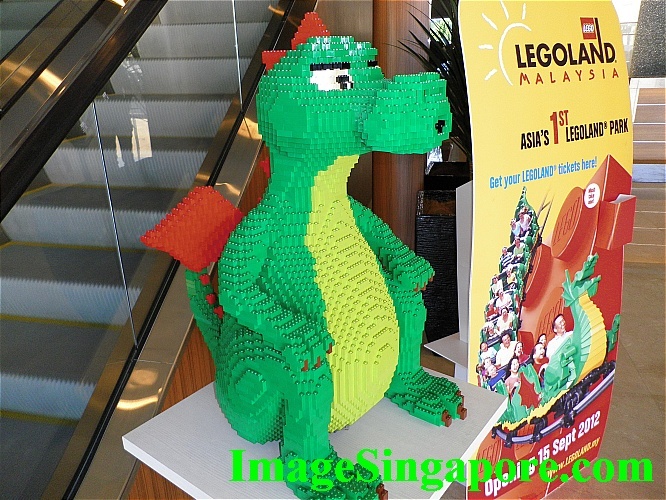 The hotel is near to Legoland Malaysia. However you still need to take a cab to Legoland.